Disaster in Fairyland! Jack Frost has stolen the Music Fairies’ magic instruments to cheat in a human talent competition. But now humans will find out about Fairyland, and all the fairies will be in danger! 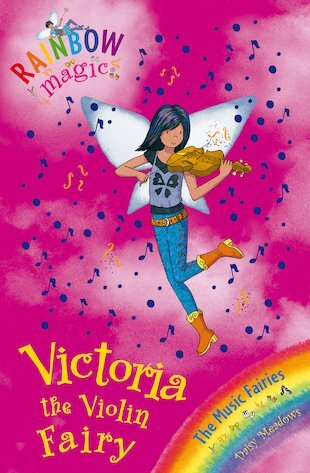 Victoria must find her magic violin – but how? I love Violin so I’ll probally like this book, Really Good!